A man who drove at a man and woman after a dispute has been found guilty of attempted murder. Michael Fasan, 29, (07.12.89) of Nyall Court, Gidea Park, Romford, was also found guilty of dangerous driving at the Old Bailey on Thursday, 21 February. The court heard how in the early hours of Sunday, 19 August 2018, Fasan had approached a woman outside of a nightclub on South Street, Romford and asked for her telephone number. The woman refused Fasan’s request and said she had a boyfriend. 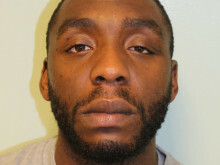 Later on, Fasan approached the woman, who was with a male friend in Chandlers Way and continued to ask for her number. He also asked the woman’s friend if he was her boyfriend. Fasan’s behaviour was challenged by the man and an argument ensued between the two males. Fasan was heard to say ‘my name is Sparks and you’re in my ends’ moments before getting into the driver’s seat of a Ford Focus. Fasan then intentionally drove the vehicle at the man ploughing into him and another innocent woman. The male sustained wounds to his back and a laceration to his finger. The woman sustained minor cuts and bruises. With no care for his victims or their condition, Fasan drove away from the scene. After a video of the incident circulated on social media on Tuesday, 21 August 2018, Detectives of the East Area Command Unit began an investigation. As part of the investigation, detectives seized CCTV footage covering the scene and reviewed the social media footage. Through clothing and appearance, they were able to identify Fasan as the driver of the vehicle. The Ford Focus used to hurt the individuals was recovered by officers in Durham Avenue, Gidea Park. Fasan was arrested on Wednesday, 22 August 2018 on suspicion of attempted murder and taken to an east London police station for questioning. He was charged with attempted murder, dangerous driving, driving whilst disqualified and driving with no insurance and remanded in custody for a trial at the Old Bailey, on Monday, 11 February. Alongside the evidence from CCTV and social media footage, the jury heard how Fasan referred to himself as ‘Sparks’ and that his DNA was found on the steering wheel and seat adjuster of the Ford Focus. Fasan guilty of attempted murder by a jury and was remanded in custody for sentencing at the Old Bailey at a later date. Detective Constable Jon Bounds, from the East Area Command Unit, said: “This was a violent and unjustified outburst of anger from Michael Fasan, who intentionally used the Ford Focus as a deadly weapon. “It is through pure luck, both victims in this case have not received more serious, or even fatal, injuries.